High Quality. High Tech. Perfect for any Environment. 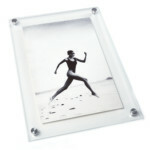 Modern Picture Frames, Framing Solutions & Signage Produtcs. 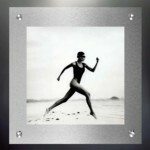 ALUMA designs has consistently and continuously provided the highest quality modern picture frames, art framing, display and signage solutions to our clients since 2003. 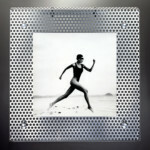 Our in-house art/design team collectively represents over 50 years of art, design and fabrication experience. We specialize in successfully delivering high-tech modern image display & signage solutions to the commercial, healthcare and hospitality markets. Our successful track record is built upon a combination of diligence, flexibility, and process, all of which provide a thorough understanding of our clients’ needs. Our patented line of modern display systems, coupled with our cutting edge UV printing services and competitive rates, combine to make ALUMA designs the right choice for all your graphics, image display and signage needs. The majority of the metal used in the fabrication of our products is aluminum. Aluminum is a metal that has many redeeming qualities that caters to the immediate needs of green building and design. Green By Design – The United States Green Building Council (USGBC) has created Green Building Standards by which some projects must adopt. Perforated Aluminum is green and fits nicely in any project that has LEED (Leadership in Energy and Environmental Design) requirements. Most of what goes into ceiling and wall system products is currently using 66% recycled aluminum materials. This material is in the form of 33% post consumer and 33% post industrial recycled content, which contributes to both 4.1 and 4.2 LEED MR credits. Our acrylic sheets come from suppliers that are using 30% recycled materials. In addition to what we purchase, our aluminum and acrylic scrap materials produced in our various productions process go back to our suppliers to be recycled and used again.